Easy Haze / K-13-Haze is a self-pollination (S1) of a Special K plant which inherited the best qualities of both parents: the strong, bushy and compact structure from Yumbolt and the thin leaflets, incensed aroma and clear sativa effect from Kali Mist (Western Winds). Easy Haze is suitable for both indoor and outdoor cultivation. High yields with haze aroma. 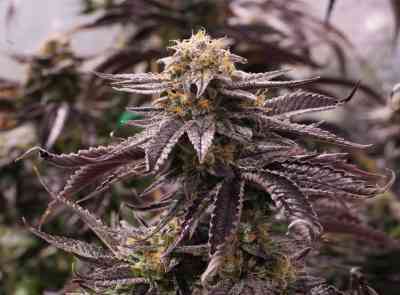 This is a very easy to grow plant with extraordinary yields. It develops lots of side branches, thus being recommended for the SCROG technique. 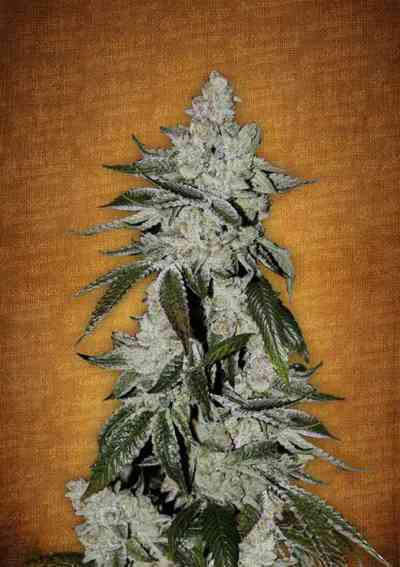 Its internodal spacing and overall size are relatively short compared to other Sativas. It can deal with nutritional imbalances, temperature stress, pests and diseases and is particularly resistant to high environmental humidity, a true all-terrain strain! It is also perfectly suited for outdoor cultivation. If grown in soil it reaches amazing heights, and its high yielding branches become completely covered with bright trichomes. Apical pruning is an efficient way to keep the height under control. Use 25-50L containers if discreet plants are needed. Both the taste and scent of this Haze variety have citric and metallic notes, reminiscent of tropical pineapples. As the curing process advances, delicious spicy hints will be easily detected. Its effect is typical of Haze strains, not suitable for tasks requiring concentration. In short, it is a Sativa strain with high THC content which provides a magnificent and pleasant psychedelic effect. oh my god. Turned out to be the opposite than expected. As per breeder 55 days till harvest. I had mine standing about 4 - 5 months now. Never stops growing. Grew a 100% sativa pheno... It smells like Pineapple with Glue... can recommend this a lot. I grew the big 4 Sativas, and this is the only one that behaved really like sativa... Dont put many nutes on it! Plant (sativ. pheno) was really sensitive to Calcium surplus and Magnesium defiency.